Currently, the average carpet cost per square foot is $3.5-6.5 depending on the material, room size and job complexity. Thus, you will spend $500-950. 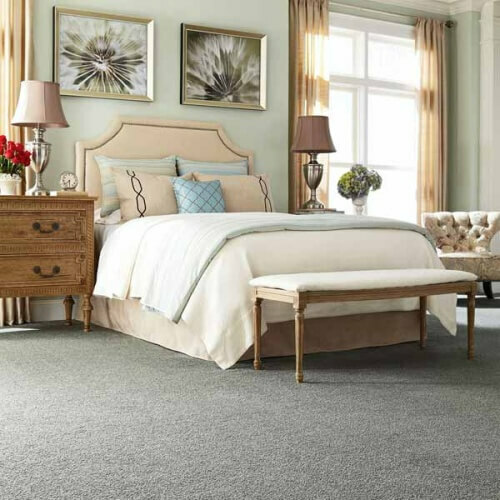 on new, average quality carpeting in a standard size 12×12 room. 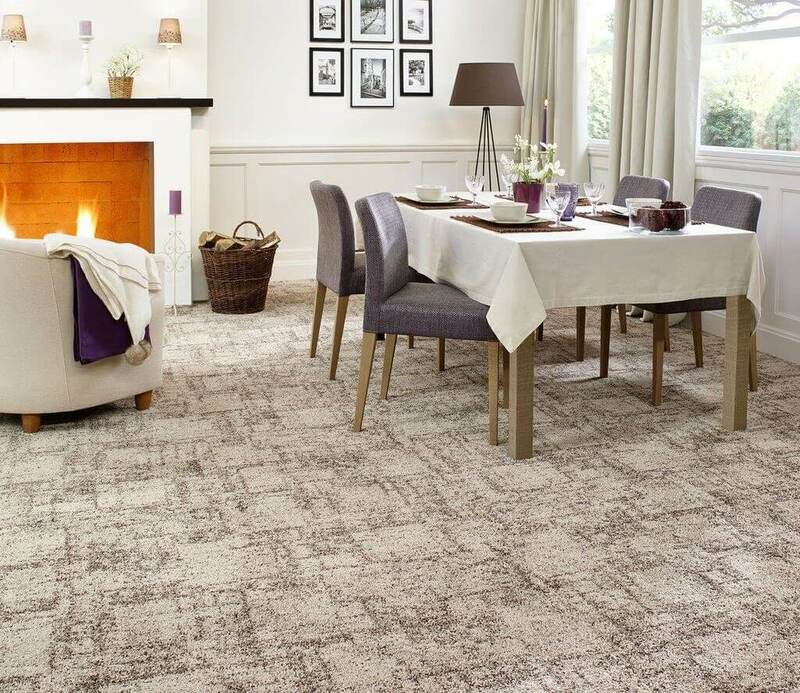 Wall to wall carpet offers softness and comfort under foot, additional insulation and noise reduction. Depending on your budget, carpet performance needs, foot traffic, aesthetic preferences and how much upkeep you like to do, there is a wide range of carpet design and material options to consider. Wall to wall carpeting can be one of the most cost effective flooring replacement options. Low grade carpet materials cost as little as $1.5-2.00 per square foot, while premium quality wool carpet can be as much as $18-20 per square foot. In general, carpet prices for decent quality materials (nylon, wool, polyester) are around $5-8.5 per square foot. The figures below are only an estimate for basic labor. This is NOT a substitute for a quote from a reputable vendor or contractor. We strongly recommend that you contact a flooring professional for a more accurate carpet installation price estimate. Price estimates are for Olefin(polypropylene) carpet. This is the second most popular material (Nylon is # 1) and is known for its durability, wool-like feel and appearance. Initially, olefin was designed for use outside and in basements due to its superior resistance to moisture, mildew, staining, piling, static and shedding. Moreover, it is also a highly colorfast material and will not fade in the sunlight, because it is dyed before its made into fiber. 1. Material / equipment delivery, as well as service provider transportation to and from the job site. 2. Preparing the job site, including protection of existing structure(s), finishes, and materials. 3. Site cleanup and debris removal at project completion. 4. Labor setup time, mobilization time and minimum hourly charges that are typically included for carpet installation projects. 1. Removing, relocating, repairing, or modifying existing framing, surfacing, HVAC, electrical, and plumbing systems. 2. Testing and remediation of hazardous materials, such as asbestos or lead. 3. General contractor overhead and markup for organizing and supervising the project. 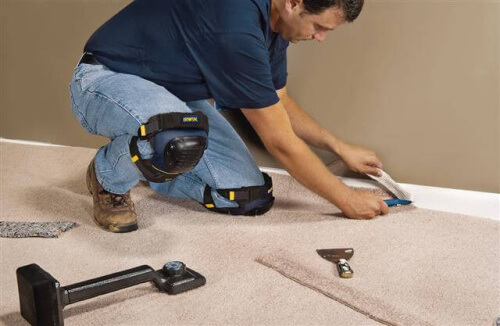 If a GC is supervising carpet installation, expect to add 15% to 25% to the total cost. 4. Permit or inspection fees required by your local building department for the project. Note: Complex installation jobs can cost almost 2x the labor prices quoted in this estimate. When you calculate your carpet cost, you have to consider the following: carpeting comes in 12 ft rolls. Thus, if your room is wider than 12 ft in both directions, then you will have to use 2 runs of 12 ft wide carpet. For example, if your room is 13×13 ft, you will have to use two 12 ft wide pieces, because you have to cover 1 additional ft in your room. This will significantly increase your material costs (as in example you would waste 11×13 ft of carpet). However, there is no way around it, since no one uses left over patches of carpet to cover the leftover square footage. Here are cost estimates for the most popular wall to wall carpeting options that you may want to consider for your home. Generally, labor costs to install any of these materials will be similar to the ones quoted in the table above. This is the most popular carpet flooring material. Nylon boasts the strongest fiber, which makes it ideal for heavy-traffic areas. Other considerable benefits of a nylon carpet are that it is the MOST durable of the synthetics, is very easy to clean and maintain. Also, it is non-allergenic, resistant to soiling and mildew. On the down side, nylon is the most expensive of the synthetic carpeting choices. Therefore, it may not be ideal, if you are on a tight budget. Its a great option, if you are on a budget. While it is not as durable as nylon, it offers stain and mildew resistance, and can be easily cleaned. Polyester carpets are available in a wide selection of textures and colors. On the down side, this material is susceptible to piling and shedding. For people looking for natural luxury flooring, wool carpeting is worth checking out. Its a high-end material that offers a uniquely rich look and feel, along with excellent resilience and durability. A wool carpet has tightly packed fibers, which makes it naturally stain and dirt resistant. On the down side, wool is food for months and is susceptible to shedding. Another potential issue is that it can be damaged by certain alkaline carpet cleaners. Also, its a lot more expensive than all of the synthetic carpet options. To make your selection process easier, we have compiled a chart that compares different carpet materials. Resistance to Sunlight: based on fiber structure and modifications. Good -- may weaken with prolonged exposure. Good to excellent Good -- special dyes may be used to minimize damage from the sun. Poor -- if protected from the sun, degradation does not occur as quickly. Resistance to Mildew: based on fiber structure and modifications Excellent Excellent Good to Excellent Poor if severely damp or soiled. Static: based on fiber structure and modification. Builds up in low humidity unless modified. Builds up in low humidity but at a lower level than nylon or polyester Builds up in low humidity unless modified. Builds up in low humidity unless modified. Flammability: based on fiber structure, modification, construction methods, dyes, padding and carpet installation methods Burns slowly, melts; some are self-extinguishing. Has a chemical odor. Burns and emits a heavy, sooty, waxy smoke. Pulling a heavy object across the carpet surface can cause enough friction to melt the carpet fibers. Has a paraffin wax odor. Burns slowly, melts in direct flame; self-extinguishing. Structure may alter what occurs. Has a celery-like odor. Burns slowly indirect flame; considered self-extinguishing. Has a burning hair odor. There are a number of things you can do to ensure that you get the best quality carpet and installation without being overcharged. 1. Get material and labor quotes from at least 2-3 vendors and contractors. You may find that a small company may charge less than a large vendor such as LOWE’S or Home Depot. 2. Consider installing carpeting in multiple rooms/large area of the house vs. just one room. Contractors typically do a markup for small projects and are willing to give better pricing on larger jobs. In fact, you can realize significant savings on the material and labor cost per square foot of a larger vs. a smaller job. 3. Be flexible about scheduling your project. Often, contractors are willing to give discounts on their labor during slow/dead times when they are looking to get work. 4. Take the time to check references before hiring a flooring company. You don’t want to end up paying more money to redo someone’s sloppy, unprofessional work. 5. We recommend hiring only licensed and insured pros, especially if your project is of more than average complexity.